ISK 8000 M, of which ISK 1500 M have been allocated to Icelandic partners. The funding period 2016-2017 is also promising. GEORG has focused on participating in European projects in the field of geothermal energy. 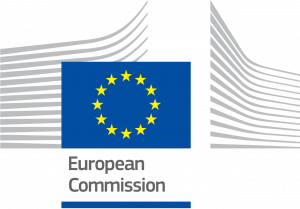 This includes participating in the FP7 and Horizon 2020 program committees to be able to influence European geothermal policies. Support for geothermal energy has increased significantly in the Horizon 2020 framework compared to the previous framework programs. GEORG was a key player in establishing the Geothermal ERA-NET, launched in 2012 and supported by a 2 M€ grant from the European Commission. Its principal aim is to deepen European cooperation on geothermal research at national and administrative levels and enable the integration of national research programs. This first four-year phase (2012-2016) was led by Orkustofnun, Iceland’s National Energy Authority, to bring together research and innovation program owners and managers from France, Germany, Hungary, Iceland, Italy, the Netherlands, Portugal, Slovakia, Slovenia, Switzerland, and Turkey, thus creating a strong platform for continued collaboration. Through its actions, the Geothermal ERA-NET aims to increase the uptake of geothermal energy; not only to contribute to an increased share of renewables in the energy mix, but also to improve the security of supply and increase energy savings in Europe, and thus ultimately having a strong positive impact on Europe’s economy and competitiveness. By doing so, the Geothermal ERA-NET’s activities correspond to the delivery of a strategic contribution to the European Action Plan “Energy Policy for Europe”. Four years of intensive exchange and collaboration on research policies, programming, funding instruments and frequent interpersonal exchange have enabled the formation of strong relationships among participants. 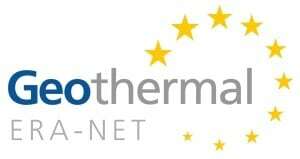 By building joint activities and prioritization of trans-European common research and innovation topics and themes, a large number of GEOTHERMAL ERA-NET countries and new European partners have teamed up to launch the ERA-NET Cofund Action GEOTHERMICA. GEORG participates in the 44M€ DEEPEGS project funded in 2015 by almost 20M€ from the Horizon 2020 Program. It is co-ordinated by the Icelandic energy company HS ORKA, with participants from five countries. It is a four-years project and GEORG is, among other things, responsible for running the project office. DEEPEGS will demonstrate advanced technologies in three geothermal reservoir types, in Iceland and France, which all provide unique conditions for demonstrating the applicability in different geological conditions. It will demonstrate EGS for widespread exploitation of high enthalpy heat (i) beneath the existing hydrothermal field on the Reykjanes Peninsula (volcanic environment) with temperature up to 550°C and (ii) very deep hydrothermal reservoirs at Valence (crystalline and sandstone) and Riom (limestone) with temperatures up to 220°C. of stimulating technologies for EGS in deep wells in different geologies that will deliver new innovative solutions and models for wider deployments of EGS reservoirs with sufficient permeability for delivering significant amounts of geothermal power across Europe. as a core of the business case development. GEORG has participated in the preparation of European Technology and Innovation Platform (ETIP) for deep geothermal systems. The overarching objective of the new ETIP-“Deep Geothermal” is to enable deep geothermal technology, in particular, Enhanced Geothermal Systems (EGS), to move from the current European R&D and pilot sites, proliferating in other European countries and different geological situations. The primary objective is overall cost reduction, including social, environmental, and technological costs. The ETIP-GT will be an open stakeholder group, including representatives from industry, academia, research centres, and sectoral associations. It will cover the entire deep geothermal energy exploration, production and utilization value chain. The European dimension has always been important for the operation of GEORG and will continue to remain one of the main focus areas.